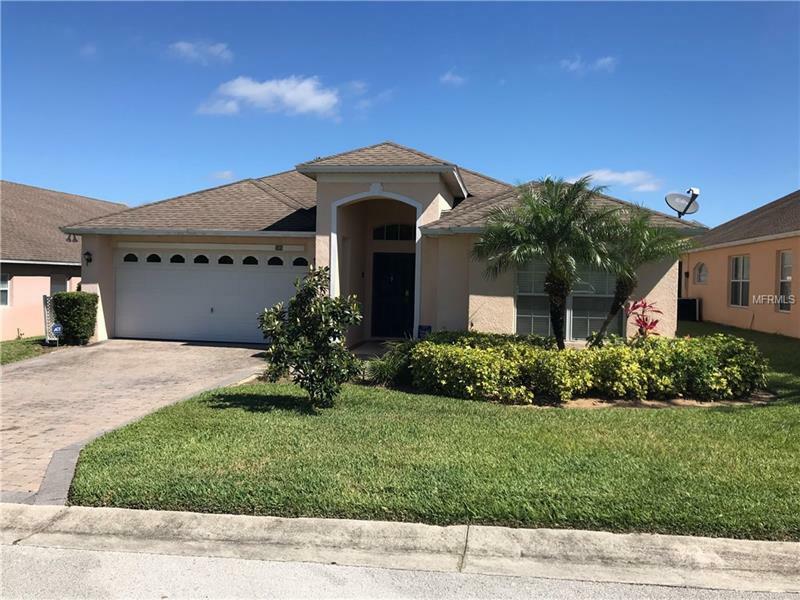 Great Opportunity to own this spacious 3 Bed 3 bath home, with a large deck, over sized Lanai, with SOLAR Heated Pool & Spa, and Fully Furnished in the well sought after community of West Stonebridge. Near to all the local attractions of Disney, Sea World and Universal Studios. Easy access to 1-4 for easy commute to Tampa or Orlando. This home has, as of the listing date 40 weeks of bookings that will convey at closing with the existing management company. This shows how successful this vacation rental is and continues to be. For anyone wanting a vacation rental with a ready made cash flow, here it is. 8701 W. Irlo Bronson Hwy. Copyright © 2019 Mid Florida MLS. All rights reserved. The data relating to real estate for sale on this web site comes in part from the Internet Data Exchange Program of Mid Florida MLS. Information provided is for consumer's personal, non-commercial use and may not be used for any purpose other than to identify prospective properties consumers may be interested in purchasing. JC Penny Realty participates in the MFRMLS Internet Data Exchange (IDX) program, allowing display of other MFRMLS broker's listings on this site. However may not include all listings currently available. Information is deemed reliable but not guaranteed. Information last updated at 2019-04-21 02:27:52.